My name is Ryan, better known as FishyGuts. I am a finance and loan guy who is fascinated with crypto. 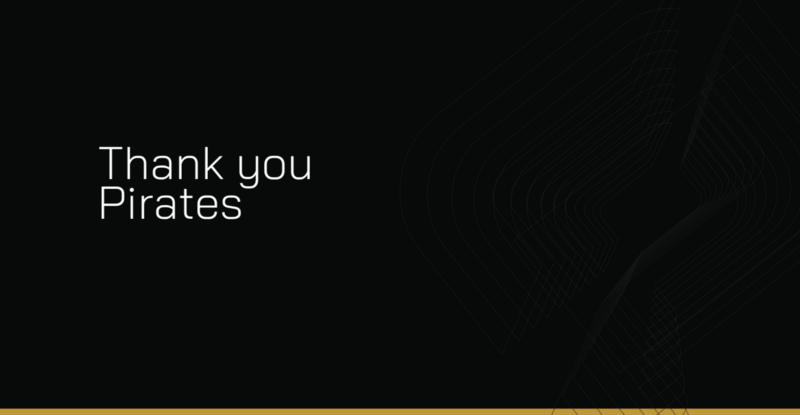 I have worked on other PoW projects as well as being a community supporter of Komodo. JL777 asked me to come help “Marketing” for pirate but it wasn’t a marketing person they needed. They needed something more. The tech is solid and the chain is fundamentals complete, but that’s all we had at the time. What is your role on PIRATE CHAIN? The closest “defined” role I could be considered as would be as a Director. I have worked on many aspects of the project including but not limited to PR, Social media, creative director, information officer, integration specialist and marketing. The team reached out to me about 4 weeks after the launch. The important thing was to begin making sense of everything the devs had just created and sent out into the world. At the time, they knew it was special but they didn’t know how special. What are PIRATE CHAIN’s key features? We have two key features and we do them very well. Pirate chain uses ZEC parameters with forced private send. This makes the shielded pool on Pirate equal to 99.99% of all funds in existence. In addition to utilizing ZEC to the best of it’s abilities, Pirate also has dPoW, delayed proof of work from Komodo. This makes pirate resistant to damage from 51% attacks. Every 10 minutes a hash record of the Pirate blockchain is recorded on the Bitcoin blockchain via Komodo’s dPoW. If you are unfamiliar with dPoW you should definitely look into it more. Why does the world need PIRATE CHAIN? Privacy is pivotal for human interaction, for art, for discussion, for finances and for safety. Martin Luther King Jr. would not have been able to be the force he was for the civil rights movement if he did not have privacy. Business would not thrive and innovation would be stifled without privacy. Our love lives and families would not be the way they are without privacy. The list goes on and on for the reasons we need privacy, and none of them need to be nefarious. For some people, privacy is serious business. We like to look at it like practicing medicine. When it comes to serious applications of privacy, all other protocols except XMR fall short. Who are PIRATE CHAIN’s competitors? We really feel that XMR is our only competitor from a privacy and tech standpoint. The forced send protocol is a must in our eyes. XMR was forked from Bytecoin in 2016 and has since become quite a well developed product. They are constantly working to make their protocol better and increase the privacy protections it provides with constant upgrades. That said, there are strengths to the ZEC privacy protocol that even FluffyPony admits are stronger than XMR albeit with tradeoffs. 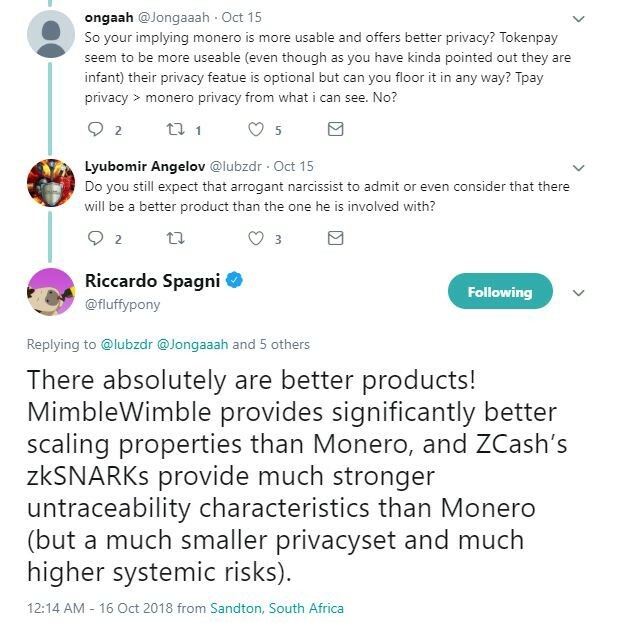 Legendary Monero developer Riccardo Spagni agrees ZEC privacy protocol provide stronger untraceable characteristics, albeit at a price.. Complete anonymity and financial privacy is what we aim to provide and ARRR does a great job of it. Why is PIRATE CHAIN superior/different to its competitors? In short, it’s tough to classify us as superior because both protocols have pros and cons, so I will summarize why we are different and why that may be better to some users. The pirate explorer is empty… just zeros. Zero Knowledge proofs have been developed, studied and worked with for nearly 40 years, winning awards for it’s innovation along the way. Zero Knowledge proofs are wonderful for not only hiding data therefore preventing analysis on that chain data. You can’t analyze the zeros for anything relevant and there are no public sends to try and associate to z addresses or weaken the shielding pool. With XMR, the obfuscation and mixing are high quality top notch protocols to confuse, and rearrange the data present. But there is data still present. They provide other features to their users but overall but the privacy remains strong. 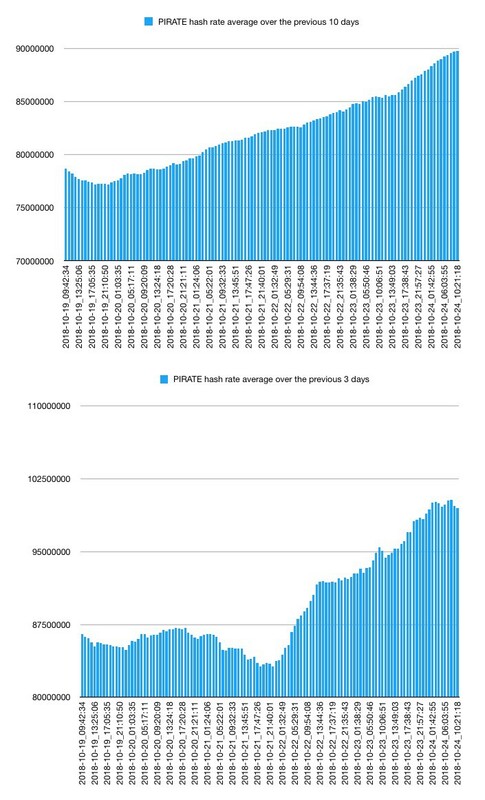 Most competitors in the privacy coin space are tract houses hammered out in 30 days a piece and each one flawed just like the last one. XMR and ARRR are like custom beachfront houses, but in different stages of completion. XMR is landscaped with vineyards and a pond, they added an extra garage 2 weeks ago (bulletproofs) and repainted. The sauna they added last May was a great touch. It’s beautiful. The sprawling driveway up to the fountain in the front is breathtaking and when you walk through the front door, you see the ocean. Pirate is the house next door, purchased incomplete. The house is standing and in immaculate condition, able to withstand any hurricane or tropical storm… but there’s no grass. There’s no driveway paving. The fountain hasn’t arrived yet. Our stairway down to the beach is being built. But we also have an underground bunker, a watchtower and a guarded gate with 8 foot fences. Once the rest of the amenities, paint and hardwood gets laid, this house will be comparable to it’s next door neighbor in many ways, with features they do not have. As you may or may not know in real estate, value is measured in comparables and I see XMR and ARR being very comparable in technological value. How does the PIRATE CHAIN core team look right now? To date, we have had over 30 different contributors to many different aspects of the project. It truly is decentralized. The Pirate project wasn’t started by a team of CORE devs who set out to make this chain and “own” it. It was more of an experiment by talented like minded individuals set on securing financial privacy. At the very beginning there was about 7 people, JL777 as the tech and innovation lead consult, a few KMD notary node operators and dedicated KMD developers, who wish to remain anonymous for the time being. We have to form a foundation to provide them all with the proper interface to the public for their contributions based on existing projects they are involved with. These eager and hungry devs were brainstorming and troubleshooting in the Komodo Discord one day as to WHY this hasn’t been done before and HOW to do it. After a few days, they tweaked, tested, and while many details have been left out, they finally got the chain launched with dPoW. Additional developers began to support the chain and it’s needs, developers like Radix42 and Duke Leto to name a few skilled privacy focused developers. Projects being developed around Pirate and the Z address integration started up immediately. 15 developers are currently consulting, working or planning items for pirate. Many of these people wish to keep plans and identities under wraps as we are still working on the legal foundation to make them all comfortable putting their names to it for reasons previously mentioned. There are also items that are proprietary and the developers want to keep them under wraps until fully ready. We have 10 international translators and 2 authors who have been putting out quality material. These are all community members who have seen power in the product. The medium page is always adding new and relevant article. The whitepaper is in the works. Daily, I receive offers from people to help with various aspects or they approach me with ideas they want to pursue. I give them a framework and they do as they please. 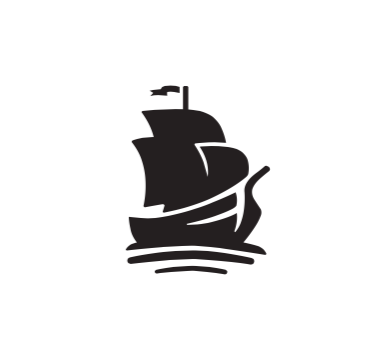 …another group of individuals are starting a privacy related podcast, Pirate Radio. The community is very much behind this and there is no shortage of development power willing to make things happen. Timing wise, with Sapling integration around the corner, we have our hands tied with a few things we need to do. Expansion may not be the right word so much as collaboration. Michael Toughtini of Verus has been working with JL777 and the KMD team to get Sapling integration completed for all KMD projects. Normally something like this would get forked in at the KMD notary node re-elections. They are working with Radix42 to see if we can get it done earlier than that without affecting the rest of the KMD ecosystem. Once KMD integrates sapling for us, then the door get blown off for our community to go haywire on their adoption ideas and plans. Mobile wallets, POS systems and more all become possible with sapling. We will definitely need to put our existing developers to the task but I do suspect that others will also gladly dev for the project. The CakeWallet team has already reached out to us about integration post Sapling. Being decentralized and open source, the possibilities are endless for third party integrators. Why did you choose to update the halving time rewards by 5x? The original emission schedule was too fast and would have created (justified) complaints that the early miners got all the 256 reward blocks. With the current emission, there is plenty of time for miners to decide to mine or not and later they have only themselves to blame for not mining the 256 blocks. With the halving to 128, then 64, 32.. over the next 2 years, these days of 256 PIRATE block rewards will be missed. How much of total supply is held by the team? Only whatever they have mined or purchased. We have a donation fund we have built and it is used for marketing and the onboarding. 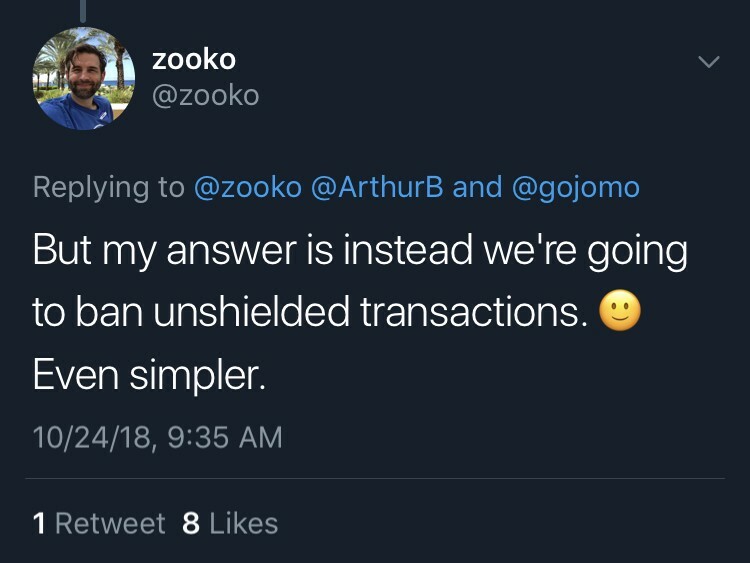 Do you see any problem with using dPoW from working with Komodo and not only miner rewards but notary addresses being transparent, and all in all why did you choose to build on the Komodo Platform? Miner coinbases are transparent but they can only be sent to a zaddress from there. The notary addresses are transparent so that their hashes are visible on the BTC blockchain. They don’t partake in the ARRR p2p system nor do they facilitate the transaction process. Actually Komodo chose us first, but we chose to build on Komodo because they provide an out of the box solution to start a blockchain, and because many of the developers and advisors are intimately familiar with it. Because of the -ac_private parameter we started experimenting — because they could — and the result: $ARRR. The dPoW is critical to protect against any unforeseeable issues with the system, providing a backup of the blockchain. The environment for developers in Komodo is one of total community. The devs from all parts of the project are willing to provide input and assistance when and where they can. I don’t know of any other platform that provides this kind of ongoing assistance. The Komodo team makes pirate stronger and pirate makes Komodo stronger. In 5 months, KMD discord made it to 3,000 members. In 5 weeks, Pirate took it to 5,000. It really is an amazing ecosystem and more smaller projects would be very well served opening shop within it. Will ARRR get an own wallet? We have a GUI wallet in the works by Duke Leto of the Hush Project. Philosophically and for adoption ease, it seems wiser to integrate into existing wallets, but privacy of info and data would be critical. Will it be technically possible to make mobile wallets one day? Already on it… Sapling is required for these to work however. The Cake Wallet team has reached out to us to integrate but they need us to have sapling forked in. Will ARRR further “emancipate” from KMD, for example, getting an OWN discord channel? Of course there will come a time when ARRR deserves its own discord — but that’s more for marketing, only on that part will ARRR emancipate imo. To be very clear, It will not move away from KMD tech. There are a lot of people complaining about ARRR being tied to the komodo ecosystem and seeing that as a bad thing. It must be made clear that being in the KMD ecosystem is always better than being alone in the dark. We really have been coming on strong and at first they were turned off but now they have embraced us. Other than that, if KMD died tomorrow, we would still live, just without dPoW. We are an independent asset chain. Will the obligatory privacy cause trouble with exchanges? For example if you make a deposit to an exchange address but they don’t credit it… How can you even show you sent it? There are functions within the wallet where you can call your send history and give that to those who may need it. The newest version of agama now shows it by default. When I started 6 weeks ago, JL777 said, “You probably won’t get this coin listed on exchanges. We have to build our own..” and 4 weeks later, I had it on an exchange. How is the progress with getting on Coinlib and Coinmarketcap and when will it be listed on crex24? For us to integrate into Coingecko, Coinlib, CMC and others, we need price support from supported exchanges. This was why we applied to list on Crex24. 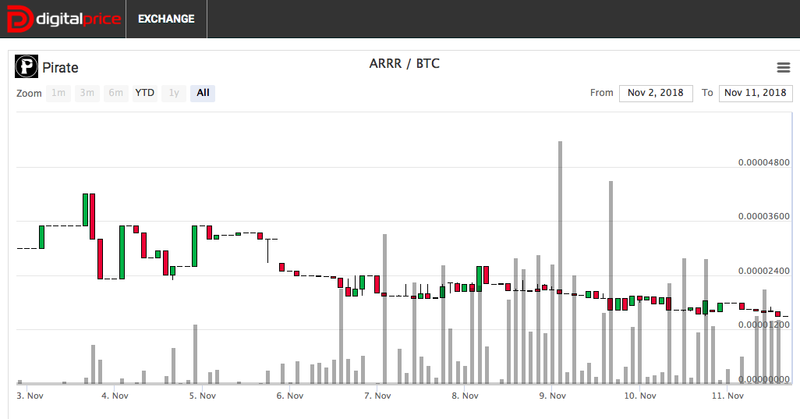 They have 2M + daily volume and are integrated into most coin reference sites. I would like to say before December 1st we will be on Crex24. 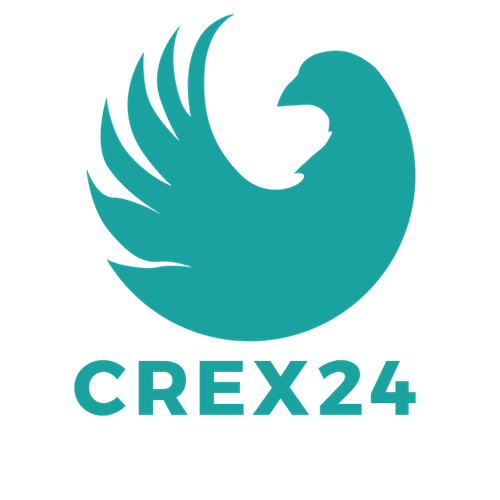 As soon as that happens I will be getting our coin on all sites that have support for Crex24. How will the man on the street experience/use PIRATE CHAIN? The user will have a totally private method of performing transactions, similar to the way a debit or ATM card works, where the merchant knows nothing of your financial werewithall. Sapling will make it possible for Pirate to shift from solely an online venue to a POS system that can be used in the field. A couple members of the community lay out plans to build an assortment of tools to facilitate existing shops that accept crypto, to accept pirate. This is definitely an oversimplification of the plans already in motion and under development. Sapling integration will make it as easy for stores to accept ARRR as easy as it is to use ApplePay. Corporations have an extreme need for privacy, especially financial privacy. Even the smallest leaks of information can compromise contracts, inventions, ideas and investors. Governments have very similar interests in protecting their financial privacy, however the public may not agree as much. We can’t speculate on coin prices at all as that would be irresponsible. I can give you some ideas to look at in the future and you can do your own math. In about 1 year, the coin supply will equal about 150M. Today, the coin is worth about $0.11 USD. If the coin price remains the same, that is a 16.5 M Market Cap. If you refer back to the real estate comparables I mention, then it would be up to you to decide if we can live up to that image that XMR sets based on our protocol as well as many other things. What is the next big thing for PIRATE CHAIN? I personally believe the Pirate Trading Post will be the next big thing for Pirate. We don’t want to talk too much about it, but we do believe it will help the project very much. I have spent about 4 hours this week in talks with the web devs about our goals on this, and I just yesterday got them both in our discord to start laying out the foundations. Some other notable items we have coming, there is a TOR based CEX in development. In addition to that, We have a crew of guys building a trustless escrow interface that can handle z addr transactions. (Barterlly, working title). The referral program that launches soon will be very interesting to crypto users. Something that has not been done yet that we know of. 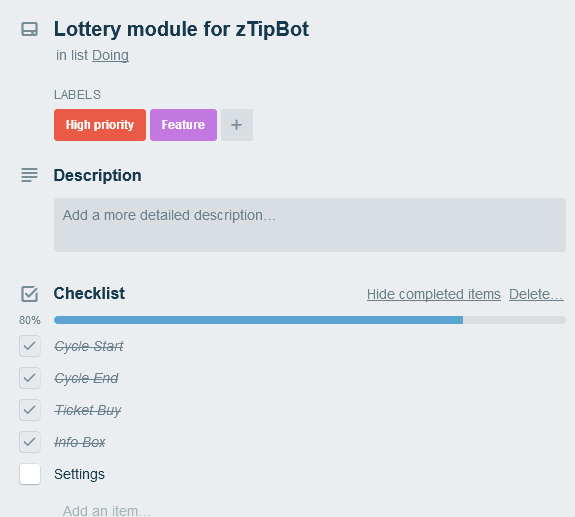 Our Pirate Lottery bot should be ready in the next couple weeks. We hope to have this bot working in MANY discords across the crypto space. In closing, we are all very excited about the project. There is always something going on every day and we suggest people hop into the KMD discord to see what we are up to! THANKS TO FISHY GUTS & PIRATE CHAIN FOR WANTING TO PARTICIPATE & PROVIDING SUCH AMAZING ANSWERS! I, FOR ONE, WILL BE FOLLOWING THIS PROJECT CLOSELY!